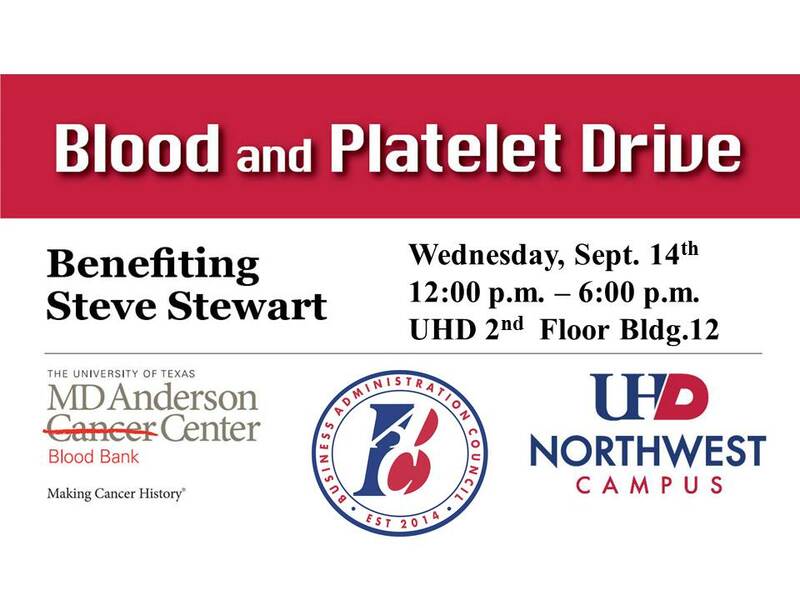 The University of Houston-Downtown (UHD) Northwest is partnering with MD Anderson and the Business Administration Council to host a blood and platelet drive from noon to 6 p.m., Wednesday, Sept. 14, at UHD Northwest Campus at Lone Star College - University Park, Building 12. The event will benefit Steve Stewart, business partner and friend of UHD. For more information, contact Carol Brace at 713-237-5407.